Your favorite sports team is nothing without their #1 fan. Traveling to sporting events are getting more and more difficult each year—solve these problems by starting your tail gate party the moment you get picked up. Leave behind the hassle of traffic and parking to us and start your game day experience off right. 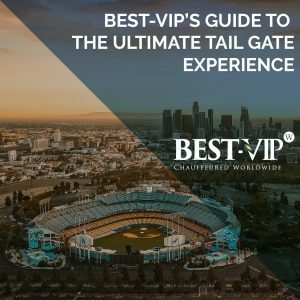 Take a look at our Guide to the Ultimate Tail Gate Experience for tips & tricks for each tailgate experience!